Ranveer Singh opens about his relationship and life after marriage with Deepika Padukone! Deepika Padukone and Ranveer Singh are definitely the couple of the moment. After their wedding breaking the internet with an intimate ceremony in Italy and a series of reception parties with the who's who of Bollywood, seems like I just can't get enough of them. 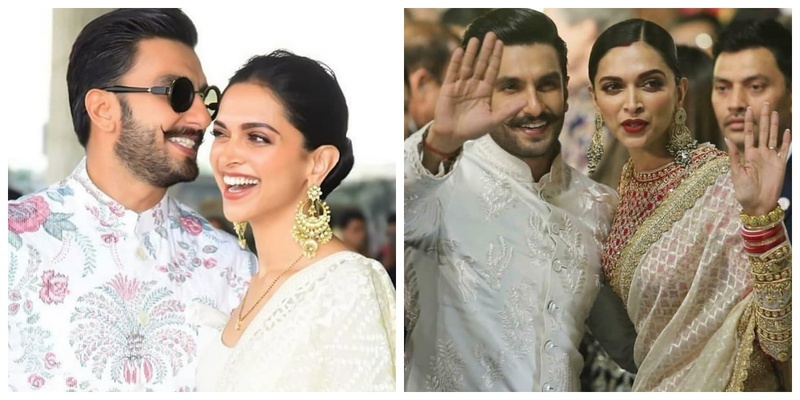 Also, in his recent interview with Hindustan Times, Ranveer had stamped his marriage with Deepika as his 'biggest achievement' and had his fans swooning over him for that. He said, "Honestly, it’s an amazingly blessed time. I am really happy about everything but the best part of it all is that I’ve got married. You know, in spite of everything that has happened in my life, it’s the first time I feel that I have achieved something, ke maine life mein kuch kiya hai, kucch ukhada hai (laughs). It’s a really warm and wonderful feeling. I feel so grounded, secure and empowered. If feels as if I have a superpower now. With her on my side, I feel invincible and protected knowing that there’s someone who cares about me. Our relationship is really stronger and than ever before." Wondering what the wifey-in-question thinks? In a recent interview with Filmfare, she recently split the beans on her marriage, she said, “I’m a lot more grounded. I feel secure, I feel protected. When you’re in a relationship, there’s still a lot of nerves, you’re still unsure, no matter how long you’ve been dating. I guess, the terms boyfriend and girlfriend sound frivolous. Somewhere, it doesn’t carry that weight as marriage does. Today when we look at each other, there’s a sense of responsibility." Deepika also praised Ranveer and added what all he brings into their relationship. She added, "We both bring a lot of stability in each other’s lives. I’d say he brings stability in mine. But I read him say in your interview that I bring stability in his life. He said that he wouldn’t have been able to handle the kind of success that came his way but for me. Similarly, he has played a large part in making this relationship successful. I was scarred. But he was so honest, so patient that he gave me grounding. I knew he was the person for me because he gives me comfort, stability and security. There’s never a moment of anxiety. When I call him and if he doesn’t answer my call, I don’t have to worry. It’s such a silly thing but yet such an important thing. I don’t have to worry about his whereabouts. I’ve lived with that fear for years before this." Adding further as to how the two are professionally compatible, Deepika shared, "We don’t make decisions for each other. We might talk to each other about our projects. But, eventually he makes his own decisions and I take mine. As actors we are different. Our process to approach a film is also different. He does take advice from me about a film or an endorsement. Of course, he has Yash Raj Films but as his wife he also loops me in to understand my perspective." Ranveer calling Deepika gharelu and himself the 'husband of the millennium' is too too cute to handle right?